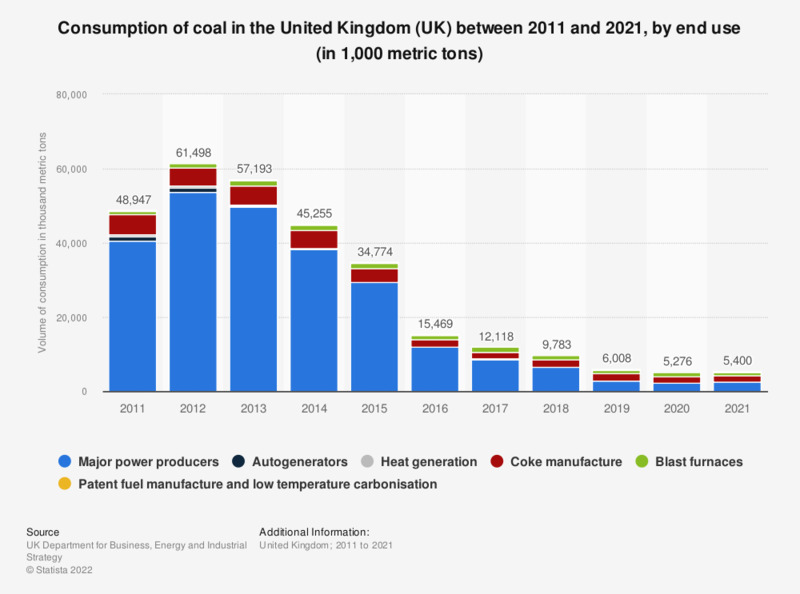 This statistic shows the end uses of coal consumed in the United Kingdom (UK) between 2011 and 2017. Major power production was the main form of coal consumption using just less than 54 million metric tons in 2012. By 2017 this had fallen to 8.7 million metric tons.